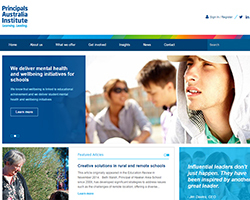 We have been working hard in recent months to design and deliver a new and dynamic online presence. As a result of that work, it is our great pleasure to share with you the new PAI website. It’s fresh, easy to navigate and reflects our mission to provide professional learning and support for school leaders. Likewise, the PAI blog will house interesting curated commentary and information. It is designed to build on and drive discussion about the real-life experience of leadership in schools. 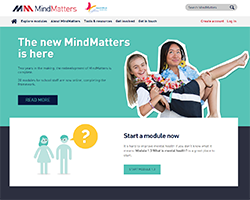 Earlier this month, beyondblue Chairman The Hon Jeff Kennett AC and Board Director The Hon Julia Gillard launched the redeveloped MindMatters initiative. PAI supports this important initiative by working directly with school leadership to build their capacity. Contact one of our staff to learn more about the initiative and to sign up. For detailed information, visit the website. With the National Student Principal for a Day just weeks away (3 June), we invite you to read students’ thoughts on what makes an ideal school leader. Late registrations for Student Principal for a Day are welcome. This free webinar presents unique insights into factors impacting Indigenous student outcomes, as well as policies and strategies that need to be considered to improve education delivery. It will explore the possible impacts of inter-generational trauma and Australia's inability to address Aboriginal and Torres Strait Islander sovereignty. This presentation promises valuable and challenging professional learning for teachers, school leaders or anyone with a role in or passion for Aboriginal and Torres Strait Islander education. 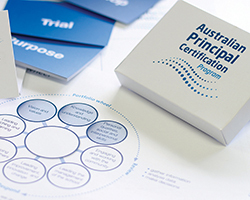 Following an enthusiastic response to our call for expressions of interest to join the Principal Certification Prototype Trial, we are close to announcing the Principal Trial Team. In the meantime, we invite you to view the Program timeline, which details the design, trial and implementation. 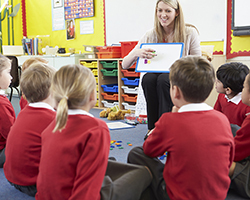 Retaining Quality Teachers is a national conference on early career teacher retention being held July 9-10 at the University of Western Sydney’s Parramatta campus. The Summit will address the pressing issue of teacher attrition and retention, a subject at the centre of much public and political debate in Australia as well as globally. • building an Asia capable workforce. The goals of the national Generation Next seminar series are to increase awareness of the mental health and wellbeing of children, and young people and their community. 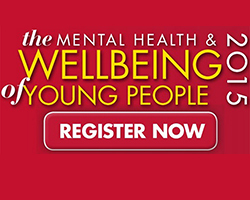 The series brings together parents, teachers and leading experts in youth mental health. The events will be held between May and September in Perth, Brisbane, Gold Coast, Melbourne, Canberra, Sydney, and Adelaide. For more information and details about registration, see the website. The TWILY 7 Day Acts of Kindness Challenge helps children of all ages to improve their social interactions by creating safe school environments through positive character development. For more information and to sign your school up, visit the TWILY website. The inaugural Australian Learning Lecture (ALL) is being held May 21. 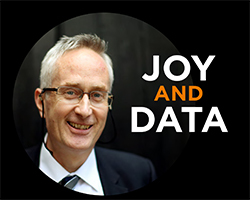 Sir Michael Barber, a world leading authority on education systems and education reform, will be delivering a not-to-be-missed lecture that will be introduced by Dame Quentin Bryce. Graduate and Grow: For leaders supporting and/or guiding graduate teachers (national): for graduates 4 August, for leaders 11 August. To be held in June and July nationally, Graduate and Grow provides valuable resources to support you in your role. Are you seeking to initiate or add to an existing health and wellbeing strategy? To be held in June to October nationally. Training to support the implementation of the SA Keeping Safe: Child Protection Curriculum materials. Visit the Positive Schools Conference website for more information and to register. A report about schooling options for children with special needs: Educating Jake and Cooper. A national competition for students to design artwork and event tagline for Go Girl, Go for IT 2016. Prizes include an Australia Post grant of $1,000 and opportunity for an inspirational ICT woman to speak at a careers event. For more information, email the organisers, Follow or Like. The main aim of Anti-Poverty Week, October 11-17, is to strengthen public understanding of the causes and consequences of poverty and hardship around the world and in Australia. The Future Leaders Writing Prize is an opportunity for Year 11 and 12 students to publish their writing in a book and receive a financial reward.